Cardamom is called as queen of spices which has exotic aromatic flavors. Cardamom is an oldest and third most expensive spice after saffron and vanilla. Cardamom has warm fortifying fragrance that adds extra advantage to ancient spices. 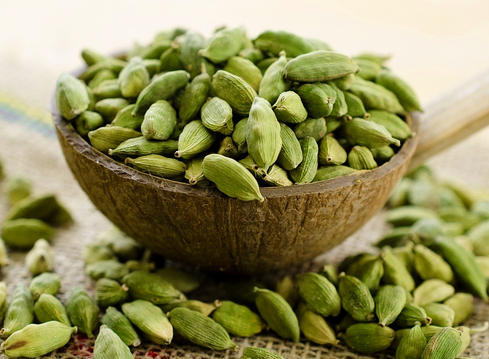 Cardamom is derived from the Latin word cardamomum which is a kind of Indian spice plant. Three years are taken by cardamom plant to bear fruits which are productive for more than 5 to 6 years. Almost 72% global productions are originated from two producers Guatemala in Central America and South India. Due to climatic conditions, cardamom is produced whole year in Guatemala which has a big advantage in export market. According to our report Saudi Arabia is the largest importer of cardamom due to flavored drinks like concoction which is very popular in Middle East region such as Kuwait, Saudi Arabia and UAE etc. Cardamom is also used for medical purposes as it is very curative in nature. It helps in healing of sore throat, whitening of teeth, digestive disorders etc. Cardamoms, being one of the primary ingredients are used in herbal health supplements such as tea bags, cardamom powders, cardamom liquids etc. One of the boosting factors that is driving the growth of Cardamom Market is accelerating use of cardamom in developing countries such as Middle east and Africa, Latin America, South east Asia etc. These countries consume more amount of cardamom products such as concoction drink, cardamom oil etc. Since cardamom is third most expensive spice globally so it can only be owned by upper middle class and rich population. Currently major contributing countries to global cardamom market are Guatemala and India. They contribute almost 72% of total cardamom production globally. Global cardamom market is expected to have a market value of USD 87.21 billion by 2024 from the market value of USD 67.4 billion in 2016 showing an incremental growth of USD 19.81 billion over the forecast period. The global market is said to have a CAGR of 2.50% over the forecast period. On the basis of products, ingredient segment is expected to dominate the global cardamom market with 45% market share by 2024. The global cardamom market is accounted for a value of USD 39.02 billion by 2024 from USD 30.33 billion in 2016 due to the availability of products which increases the health awareness benefits in population. Geographically, Asia Pacific is the biggest region in global cardamom market. Asia pacific cardamom market holds 40% market share in 2016. Market value for Asia Pacific is accounted for USD 35.24 billion by 2024 from USD 26.02 billion in 2016. India is the second largest producer of cardamom after Guatemala. In India, Kerala alone holds 70% of Asia Pacific share in cardamom market. Export Import regulations shows that around 10, 00,000 tons of spices are exported from India which is one of the major countries in Asia Pacific generating the revenue of USD 2.63 billion in 2017. North America cardamom market is anticipated to reach USD 26.16 billion by 2024 from USD 20.22 billion in 2016. Total cardamom worldwide is more 70,000 Metric tons in 2016. Of the total cardamom, Guatemala accounts for more than 40,000 Metric tons followed by India which holds 20,000-25,000 Metric tons of cardamom annually. The drivers which propel the growth of global cardamom market are increasing usage of cardamom in health supplements, initiatives taken by spice board government for export and import of spices such as spice board is helping exporters with better infrastructures and quality improvement. Government in India has also fixed up importing price of cardamom at Rs. 500 per kg in order to control the volume of imports. The key vendors of cardamom market are making the availability of their products online which not only saves the time of customers but also serve as the growth driver for global cardamom market. There are many challenges that are faced by key vendors of global cardamom market. Due to shortage of labor, sometimes there are low production costs, decrease in volatile content, low yield due to climatic conditions, high use of pesticides and high cost of cardamom are some of the restraints that curtails the growth of global cardamom market.